July was a busy and exciting month for CARMA’s Placement Program. Six retired racehorses in our care graduated the program and began training towards their second careers in various equestrian sports, each with different CARMA Aftercare Partners. This’sHowWeRoll might have the record for shortest time in the Placement Program. 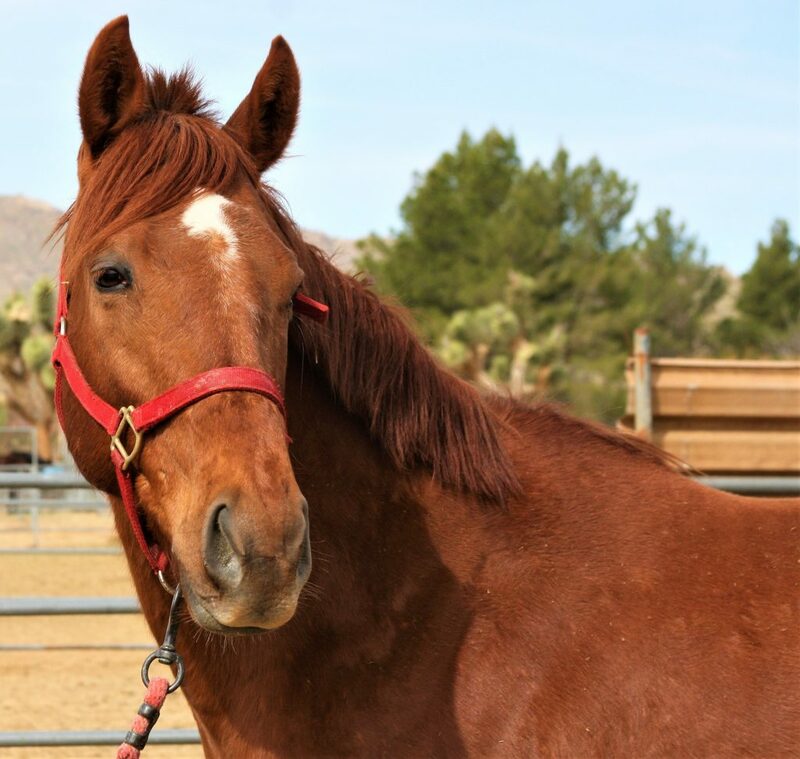 He was in our program less than 10 days before he was connected to his new home through Aftercare Partner Thoroughbred Rehab Center. As it turns out, “Rolland”, is an incredible event prospect. Thoroughbred Rehab Center has an eye for spotting OTTBs with a talent for that discipline – in fact one of their former horses, Blackfoot Mystery, competed in the last Olympics. Will we see This’sHowWeRoll there one day? Let’s not rule it out! The luck of Irish has blessed Tuco IRE! Not only is he sweet, smart and well-mannered – he’s easy on the eyes. Tuco is a five-year-old solid chestnut gelding by Exceed And Excel out of a Maria’s Mon mare named Life Rely. He was born in Ireland, raced in England and then traveled to the United States to compete at Santa Anita Park and Del Mar. This globe trotter is currently taken up residence with Aftercare Partner Southern California Thoroughbred Rescue in Redlands, CA. He is beginning his training towards being a riding horse. Life is a funny thing, isn’t it? Well it certainly is if you’re anything like our boy Life’s Journey. This playful redhead is spunky, outgoing and always finds a way to make things interesting. During his racing days, “Journey” was a graded stakes horse. He ran 3rd in the San Juan Capistrano Stakes and 6th in the Calumet Farm Kentucky Turf Cup Stakes. In his 27 starts, he earned nearly $158,000! Journey captured the heart of his trainer who tearfully trimmed a large portion of his tail to make a horse hair bracelet when he retired from racing. 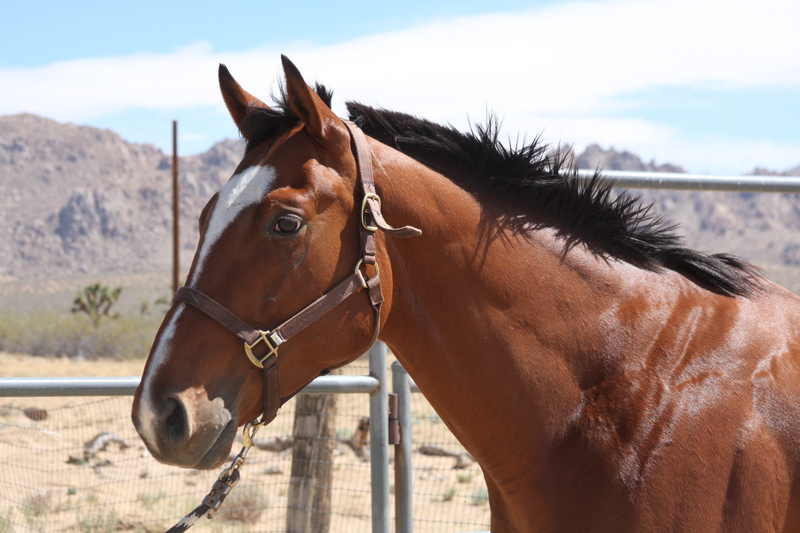 Now enjoying all the perks of retirement, Journey lives in Arizona with our Aftercare Partner Equine Encore Foundation in herd with many friends. Metrocity is a four-year-old Kentucky-bred light bay gelding by Songandprayer out of a Greenwood Lake mare named Lakesoftheclouds. As a rather large horse, Metrocity is laid back and mellow. “Why waste the energy,” he says. As one could imagine, this didn’t translate into being a competitive racer but it does make him a great future riding horse. Metrocity has begun training with Aftercare Partner Farralone Farms in Chatsworth, CA. and will be available for adoption. The Happy Count is a three-year-old handsome California-bred dark bay gelding by Bedford Falls out of a Conte Di Savoya mare named Happy Countess. This youngster is just as cheery and upbeat as his Jockey Club registration suggests! “Happy” began his racing career with a bang – winning his first time out. He retired having earned more than $15,000 and a career record of 7;1,2,1. 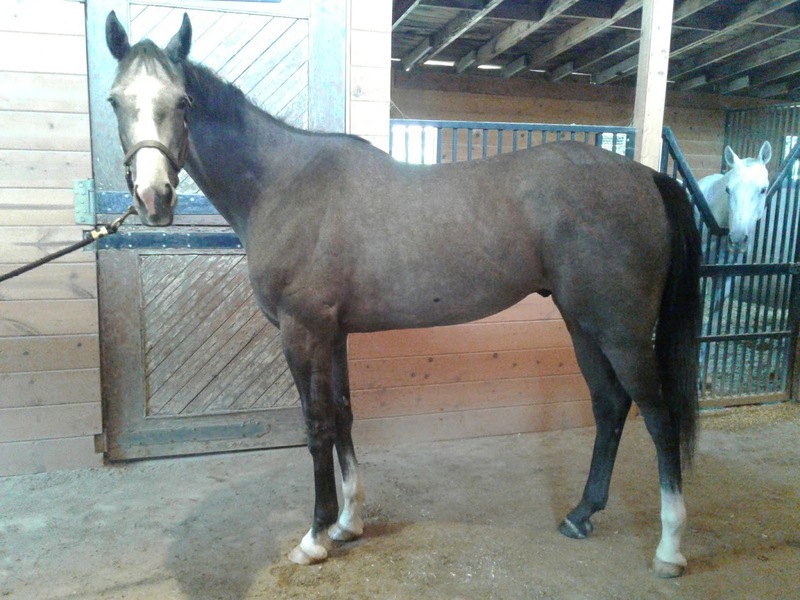 “Happy” spent three months in our program before being scooped up by Aftercare Partner, Hope 4 Horses. 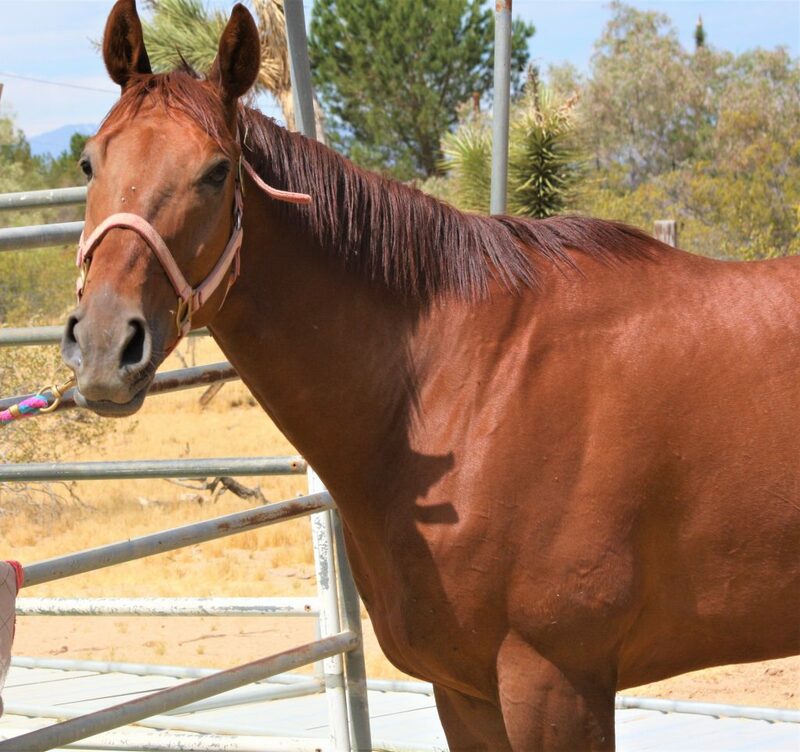 We are counting on Happy’s athleticism and personality to help him become a great sport horse. A quick show of hands, who loves tall dapple grey colored horses? Allow us to bring our hands down so we can continue telling our readers about CARMA Placement Program Graduate, Lightning Force. To start, he is one of the most affectionate and loving souls you will ever meet – horse, human or otherwise. When we first met him, he pushed his head in our arms asking for a hug and we, of course, obliged. Lightning Force only raced one time and told his connections he would rather be someone’s pet. A sweetheart like Lightning Force had no trouble finding an Aftercare Partner. 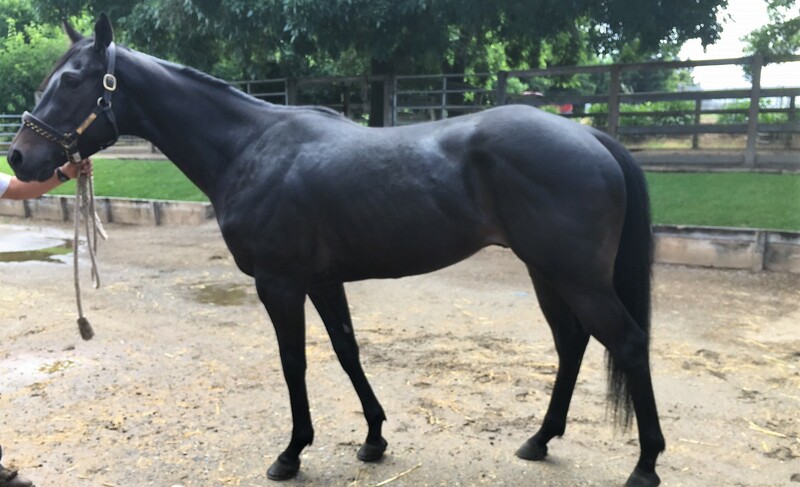 He is with Whispering Meadows in Temecula, CA enjoying a few more month of leisure before starting his second career and looking for his forever home.